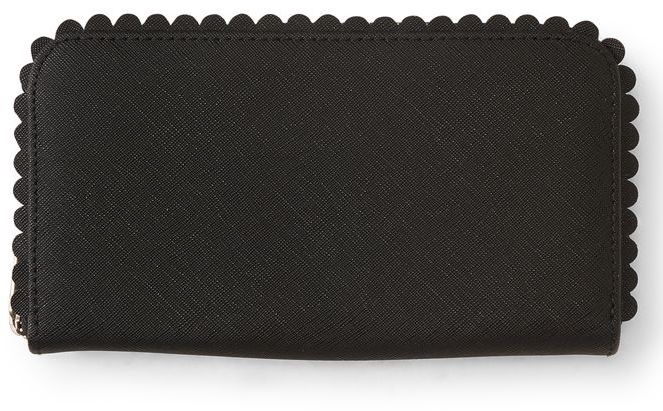 When you've absolutely gotta take everything with you, our full-size Scalloped Wallet has you covered! It features 1 cash pocket, 6 card slots, a zip coin pocket in the center and plenty of space in between for a smaller cell phone or lip balm. Textured faux leather and pretty scalloped edges make this one chic accessory. L 8.25" x W 4.5"
Faux leather exterior; fabric interior.